Posted October 1, 2018 by Tom Ewing & filed under Features, Infrastructure Features. The oil and gas giant’s EV investment rationale is outlined in its new report, BP Technology Outlook. Those are some opening thoughts and predictions contained in a fascinating report issued by BP, called “BP Technology Outlook 2018.” A central thesis is the parallel advancement and interplay between energy and technology, largely a beneficial synergy with important implications across many global concerns and disciplines, from energy to wealth and economics to the environment and climate. This new focus on transport is highlighted in an introduction by BP CEO Bob Dudley, who writes that transportation is one energy topic “where progress has been even faster than expected three years ago.” Dudley specifically refers to the “potential for growth among electric and self-driving vehicles” as well as the “increasing competitiveness of wind and solar power and the rapidly falling costs of batteries.” All critical factors for EV adoption and success. BP projects cost parity between EVs and ICE vehicles by 2050, predicting that technology will “transform transport over the coming decades, as vehicles powered partly or fully by electricity become cost-competitive with those solely using internal combustion engines.” One major reason: more powerful and cost-effective batteries. Many of these battery developments are still theoretical, hardly close to production. However, there is clear momentum in R&D where smart people and resources are focused. Consider how significantly costs have come down for high energy density lithium-ion batteries since 2010. That kind of beneficial trend is inherent within energy and technology research. Metal-air batteries: Electricity is generated through a chemical reaction that oxidizes a metal such as lithium or zinc using oxygen from the air. Flow batteries: Two liquid electrolytes are stored in external tanks to hold charge. Energy is released by pumping the charged fluids through an electrochemical cell. Because of their simple structure, it can be relatively cheap to add storage capacity to flow batteries. Solid-state batteries: These replace liquid electrolytes with a solid material such as glass. This configuration allows for higher energy density than today’s lithium-ion chemistries. Solid-state cells do not contain flammable electrolytes, so they also offer safety advantages. Naturally, if EV numbers expand as the Outlook projects, that presents significant issues for electricity generation and delivery. BP estimates that within the UK, charging EVs could increase demand by “around 19 terawatt-hours (TWh) in 2030 and by around 70 TWh in 2050,” potentially 5-10% of total demand. In 2018, BP made three significant investments that reveal more about the company’s electrification strategy and the solutions it’s exploring in fast charging battery tech and infrastructure. In May, BP Ventures announced a $20 million investment in StoreDot, which is developing a new battery technology that it hopes will enable ultra-fast EV charging rates, multiple times faster than what is possible with current Li-ion technology. The company is working on a “flash battery” for consumer electronics, which will hopefully ready for the market in 2019. When fully developed, StoreDot says its technology could match the range-recharge time of refueling a gas tank. If StoreDot, or other battery firms, are able to reach those ambitious goals, the next hurdle to clear is building out scalable infrastructure. To that end, in January BP announced that it was investing $5 million in FreeWire Technologies, a US-based manufacturer of mobile rapid charging systems. BP is testing FreeWire’s Mobi Charger units at selected retail sites in the UK and Europe. Finally, in June, BP announced an agreement to purchase Chargemaster, which builds charging stations and operates a network of over 6,500 public charging points – the largest in the UK, according to the company. 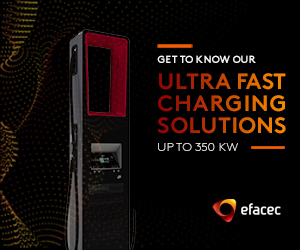 One of Chargemaster’s key priorities is expanding fast charging infrastructure, including 150 kW rapid chargers capable of delivering 100 miles of range in just 10 minutes. One section of the Outlook focuses on energy and technology changes and the transition to a low-carbon economy. Importantly, BP writes that “currently expected technology advances alone would not deliver the carbon reductions needed for a ‘two-degree world,’” i.e. keeping the rise in average temperatures to below two degrees Celsius compared with pre-industrial levels. BP refers to carbon reductions just from technology and related efficiencies as an “unconstrained future.” Carbon reductions are significant, but energy-related emissions would still rise by around 15% between 2015 and 2050. (Keep that increase in perspective, however, because it is significantly less than the 70% increase during the previous 35-year period [1980-2015].) Nevertheless, a two-degree world will require an additional 70% decrease in carbon emissions by 2050. Carbon pricing extends throughout all energy technologies – not just transportation, but heating, industrial uses, appliances and cooking. Vehicles would not take on that total cost. Recall CEO Dudley’s comment that transportation is one energy technology topic “where progress has been even faster than expected three years ago.” Can or will that progress continue on its own, without some kind of market-based intervention directly linked to carbon emissions? When those kinds of policy questions are settled – around the world – technical issues will come into much greater focus.